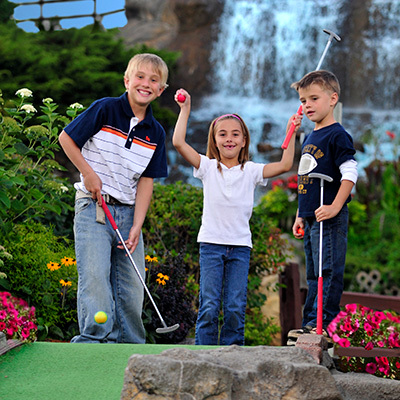 For the ultimate mini golf experience, explore Pirate’s Cove Adventure Golf in Wisconsin Dells! Five different courses, ninety-one unique and challenging holes lead you through caves, over bridges and around 17 waterfalls. Enjoy our breathtaking landscaping with over 30,000 plants. Once your game is over, relax at our picnic and play area. It is definitely not your everyday mini golf course – so grab a putter and test your skills! Dates and hours subject to change and weather permitting.